Don't you just love Penny Black stamps? 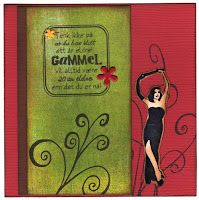 This one is a favourite of mine - ended up beeing a very pink card for the norwegian challenge #68 Celebration, at Sukkersött. Papers: Bazzill, Making Memories Journaling paper 5th avenue. Embellishments: Spellbinders die - Oval classic Scallop large. 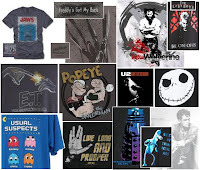 Tv-series, T-shirts & Pretty boxes! <- og til meg selv også (bilde) - kjempetips til dem som også liker gratis porto! Bare husk å handle for under 200kr for å slippe toll ;) - Oppdatert valuta + kalkulator på toll.no! As a xmas present for myself I got the whole series of Buffy and Roswell DVD's! They arrived a week ago on the door, straight from Amazon.co.uk, so since then it's been a Buffy marathon *lol* I love sci-fi, fantasy & horror tv-series. Can't get enough! It's the theme for me in books and movies to ofcourse, and I'm a Twi-fan as everyone else, except not as obsessed as many.. ;) Angel is and will always be my first choice of vamp :) I already have the whole Angel series on dvd, as well as many other faves like: Farscape, Charmed, X-files and more. Right now I'm collecting on Futurama - funniest cartoon show ever!!! And next on the list to get is Dr.Who & Torchwood! Last year I didn't only get cool xmas pressies for myself, Play.com is a great source for great gifts - just LOVE their T-shirts, as you can see on the top pic, that's all mine! For the smaller presents a nice box to give them away in is a nice touch - and you can even just give the box it self, wich is a real cheap but appreciated gift! Theese are some I've made, without a template - just trial and error.. Wich I had a lot of! Did get many box tops and bottoms that didn't fit eachother, but I just made some more, and lucked out! But there are many templates to find online I'm sure, I just wanted to try and make my own:) Sometime in the near future I'm gonna get myself a scor-pal, and then I'll make tons of boxes real easy! Main Stamps/Images: Cornish Heritage Stamp by Kim Hughes "Owen the Owl". 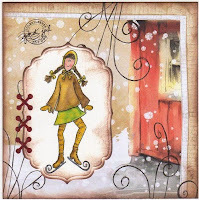 Pixie digital stamp from Charmed Cards & Crafts. The stamp from Motivet is "Doraline med nyckelpiga (Doraline w. ladybug)", and "In a nutshell" from Penny Black. 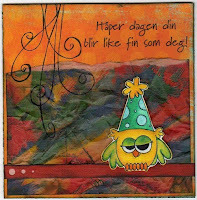 Misc Text stamps used: Aud design 5b, Kort & Godt, Kreativ Hobby, Norsk Stempelblad - Ett Trykk. Papers used: Bazzill, Core'Dinations, Misc cardstock & Designer papers - Scenic Route, Panduro, DCWV, Basic Grey, Making Memories Journaling paper. 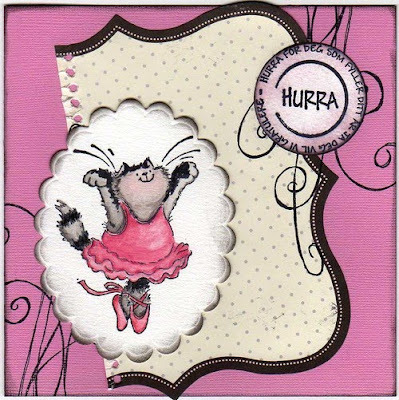 Embellishments: MM brads, QK & Spellbinders dies, Basic Grey chipboard stickers, Prima, stickers, ribbons & felt. I slutten av januar skal jeg og moren min til Thailand sammen med storebror og niesen min - Det blir helt herlig!!! Har ikke kunnet slappe av eller gjøre som vi vil på tur - siden hmmm... aldri? Først hadde vi Siljesnuppa vår boende, så kom bestefar og når han gikk bort, så var altzheimer'n til pappa allerede blitt for ille til å ha mer glede enn stress ut av feriene. 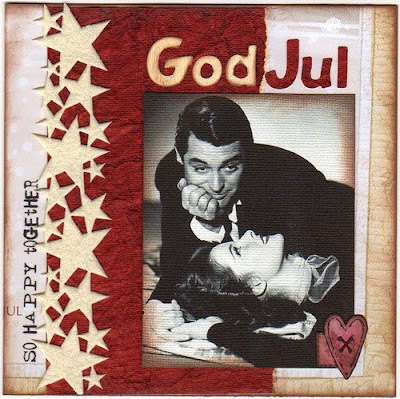 Skal sørge for å ta med stempeltrykk og alt av male-remedier, så kommer det masser nye kort fra meg på nyåret!! Main Stamps/Images: Webimages printed out on bazzill. Heart stamp from Hänglar & Stängler. Toves Design stamp "Skøytekari". Magnolia "BakgrundsSwirl Bröllup". 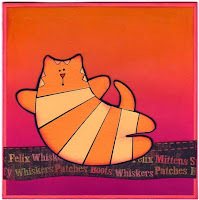 PaperPiecings I made of a cat - recipe found on the web (let me know if u know where!). 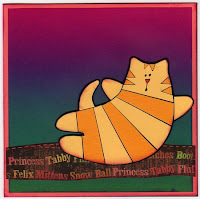 Cats Pajamas cat stamp. Cornish Heritage Stamp by Kim Hughes "Owen the Owl". 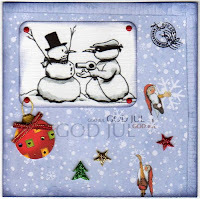 Cornish Heritage 6x6Stamp "Distressed circles". Kreativ Hobby "Diva" stamp. Disney Clearstamps. Misc Text stamps used: Kreativ Hobby, Norsk Stempelblad - Ett Trykk, Scrapmagasinet, Lazar StudioWERX Inc, Stempelhobby/Kin Flicks + unknowns. 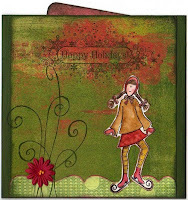 Papers used: Bazzill, Misc cardstock & Designer papers - Panduro, DCWV, Basic Grey, Prima Journaling papers.